Sticky: !! !King of Hell Info and Links!!! The best places that I can think off would be amazon or possibly ebay. Other than that if you are looking to go beyond volume 22 which was tokyopops last published volume you can always purchase the Korean volumes from this site here which they have volumes 1 through 40 but the text is in korean. Hey, I need some help. The only two bookstores in my area went out of business, and I still need from manga 21 on, and I heard a few months back that Tokyopop is not publishing mangas any more. What would be the best place to see about getting the rest that I need of KOH? BTW volume 39 just came out today in Korea. Here's a pic of the cover. Thanks =D I need to update parts of the layout again since the link for tokyopop doesn't exist anymore. 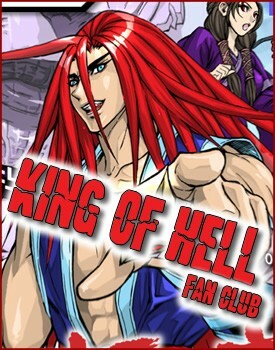 BTW I moved the series status information into a new thread called King of Hell Info and links which you'll see in the club discussion. I also included a quiz in the thread for those of you that like to test your knowledge about the series.